Some of the most dangerous navigating conditions in all of the British Isles can be found at the entrance to the Bristol Channel. Traditionally, a local pilot with his cutter would lead ships safely through the channel and into the harbor. This pilot always understood the tides and knew the location of the rocks and reefs that could threaten a ship. A pilot’s cutter needed a fast, strong and seaworthy vessel that could venture out into the Atlantic to find incoming ships. 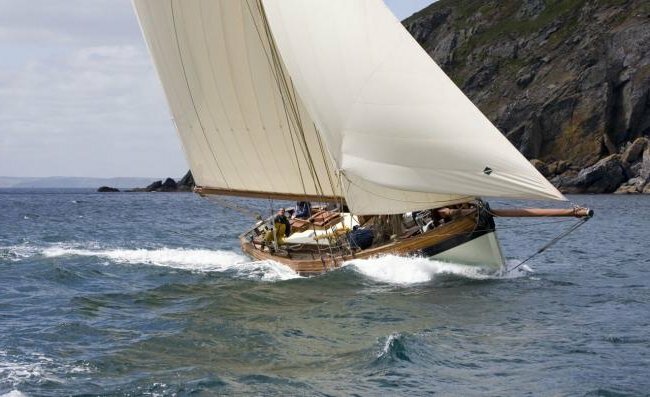 Bristol Channel Pilot cutters developed into one of the most desired designs for a sea going boat because of it’s necessary attributes. They were steered with a tiller and virtually gripped the water to avoid leeward drift in rough seas. Today, the design is a yacht owner’s dream boat for luxury sailing all over the globe. Although is is rarely built outside of England, Maha Mysore had the pleasure of constructing a wonderful replica for a British customer. The quality of the workmanship was astounding and the yachtsman agreed that better quality could not be found anywhere. One of the nicest things about a reproduction is the ability to use modern electronics in an ancient design. For example, a waterproof marine stereo really enhances the experience by adding a music soundtrack to your adventures. The ship is 50 feet long x 14 feet wide by 14 feet deep and built entirely of wood with copper and brass fasteners. It also enjoys the benefits of modern sailing equipment, a powerful engine and top notch marine stereo and waterproof speakers and electronics for navigation, communication and entertainment. Maha Mysore’s award winning motor sailer yachts can be seen the world over. 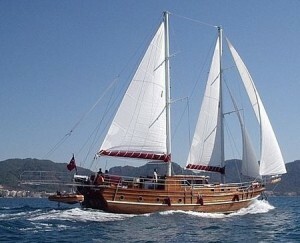 Their first, the “Wanda” has spent time in the Mediteranean and off the coast of Europe. She has crossed the Atlantic ocean to Charleston, North Carolina, in the United States and also cruised the Caribbean Islands. Wanda was also featured at the Rochelle Boat Show in France. The return trip across the Atlantic was particularly memorable because of a force 9 severe storm that buffetted the ship for 6 days. Winds gusted to over 60 knots and the swells were quite high. Fortunately, Wanda weathered the storm very well and completed the trip to France in only 20 days. This confirms how seaworthy and sound the construction of the vessel is. At the show, she won the Grand Pavois award and the event was televised on French TV. Another motor-sailer, the “Tigara” is 14.2 meters long and was specially designed for work close to the arctic circle. The hull was reinforced to handle the ice. Her owner is a professional photographer. Yet another vessel, the “Njord” is an 11.2 meter long luxury ship custom made for her Italian owner and is a beautiful boat. Maha Mysore hopes to continue providing world class motor sailers to the world. Looking for a unique party or dinner boat? 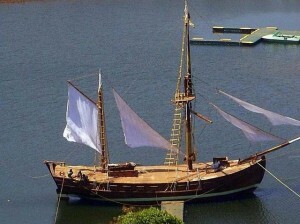 Check out this replica of the 18th century Mediterranean pirate ship “Bombarda”. This vessel is named Yashka and it is a 60 foot, ocean going boat built entirely of wood with brass and copper fittings. This ship was designed by Cesare Orsini who is a well known Italian naval architect as an entertainment boat. Yashka has been host to many international celbrities. 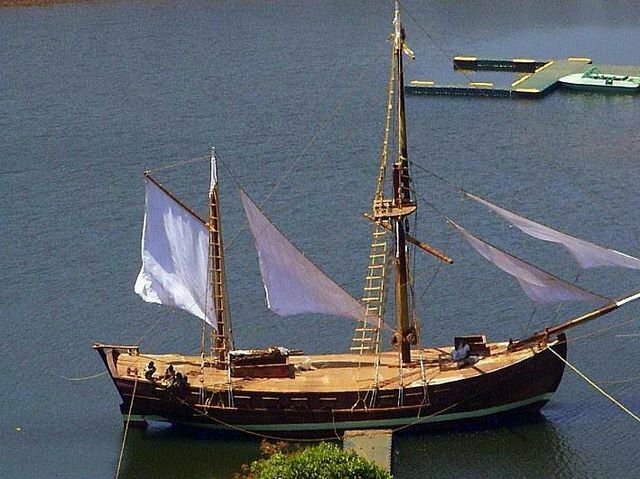 This boat can be recreated by Maha Mysore to your specifications and would work great as a motor-sail boat, a live aboard type vessel, or a training boat for those learning to sail. © Maha Mysore Boats 2019 - Powered by WordPress - Theme RedBel by Belouga.